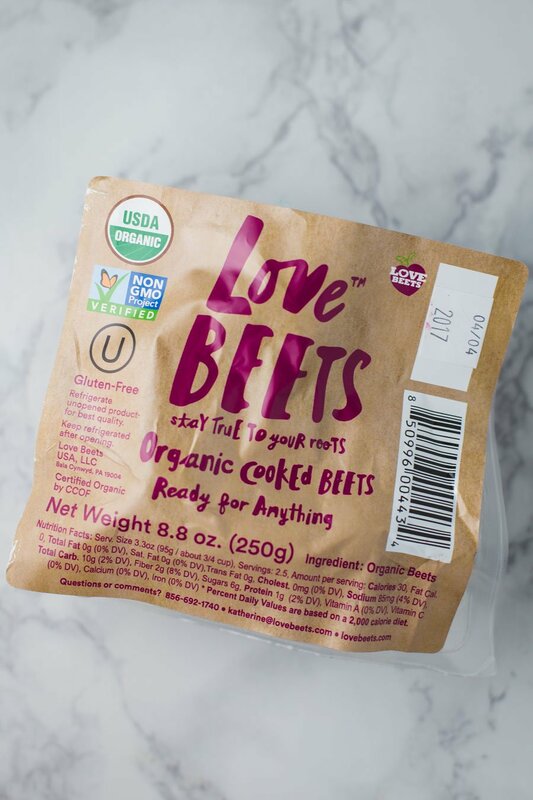 Thanks to Love Beets for sponsoring this post! And, thanks for supporting the brands that help support B. Britnell. Oh hi there! Bet you didn’t expect to see me here on a Saturday morning :) But here I am. I’ve had a particularly busy few weeks (story of my life!?) and so instead of just not posting, I decided to pop in on a random Saturday which is something that I have very rarely done. But hey, I’m all about making changes this month. Today we’re talking about BEETS! I’m a big fan of beets but typically not just straight. 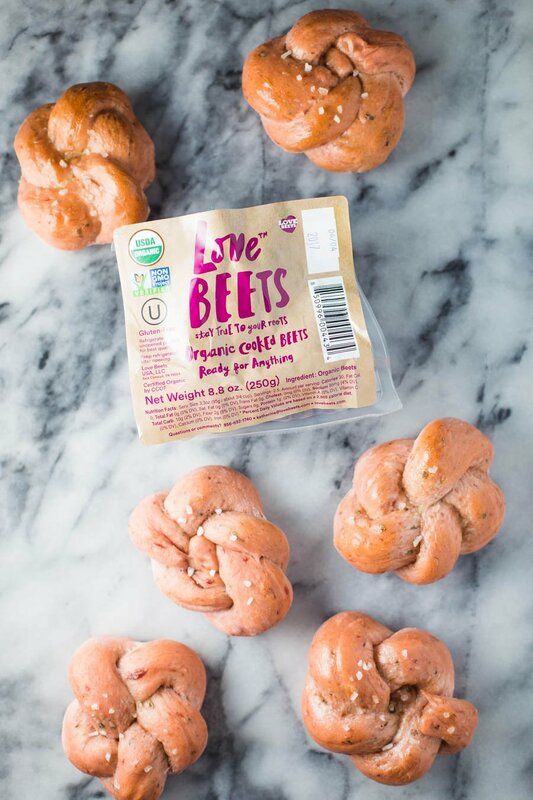 I love them in a juice or smoothie and have a beet pasta recipe that I can’t wait to try. Kind of obsessed with that color for a dinner roll!! ???????????????????????? Why do I love Love Beets organic cooked beets!? Easy- they’re SO easy. (lots of repetitive words in there, huh?). Also, uhm, they have a smoky-BBQ shredded beets that I tried a few months ago and they’re SO tasty! I definitely recommend trying those! But today we’re using plain ole organic cooked beets. 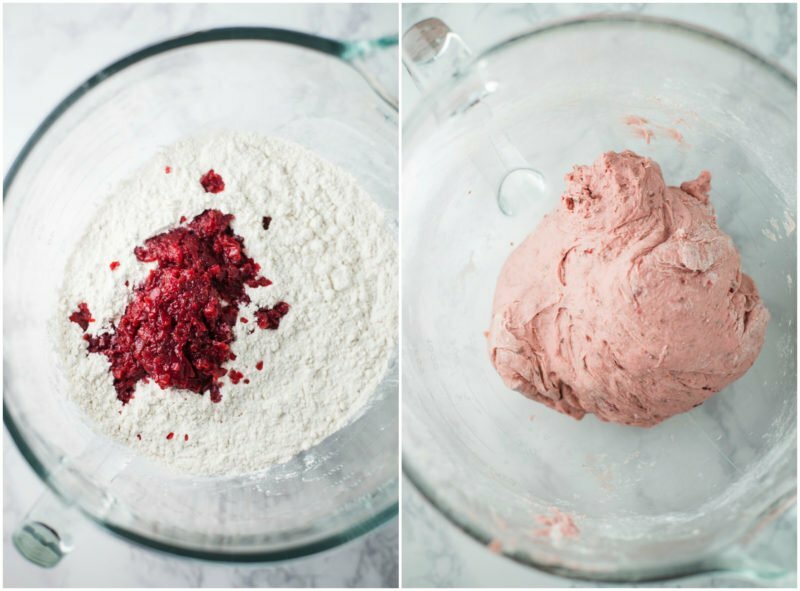 Since they’re already cooked, all you have to do is puree them a bit in a food processor and add them to your dry ingredients before then mixing in the wet ingredients. I really wanted to try out a fun new way of using beets as opposed to in a juice or salad. I’m very pleased with how these rolls turned out! Brushed with a little butter, sprinkled with a little sea salt, and they’re EVEN BETTER! 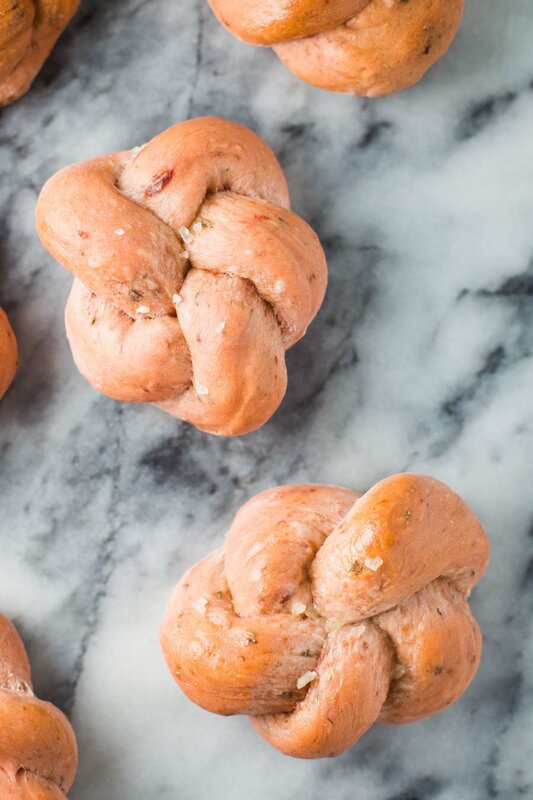 Now, you don’t have to do the fancy rolling of the dough BUT it’s actually SUPER easy and REALLY pretty! 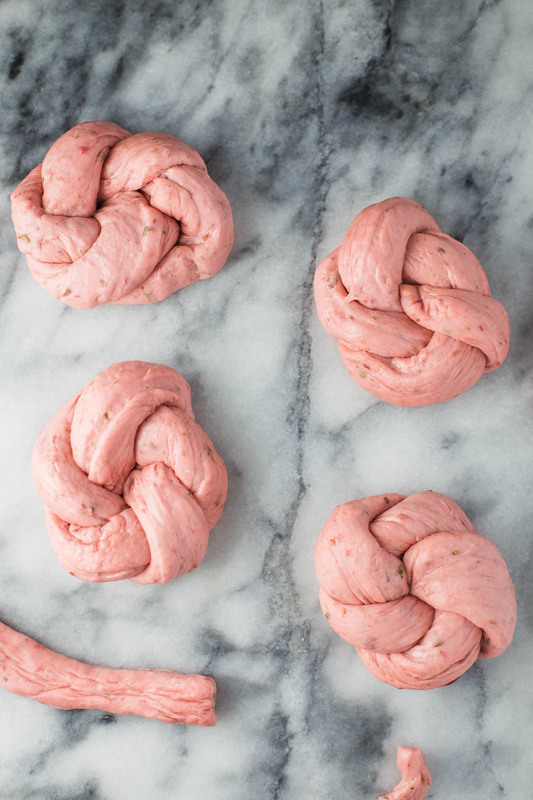 I originally tried to photograph me doing this but instead I decided to just link you to the youtube video that showed ME how to roll the dough like this. ***You can watch the how to video HERE. *** Warning: the camera work is rather….shaky. Using a food processor, puree beet until their in very small chunks about the size of rice. In a medium bowl, combine the sugar, yeast, and warm water. Stir and let sit for 10 minutes. Into the same bowl (after the 10 minutes), stir in the almond milk, garlic, oregano, parsley, and olive oil. In a large bowl (preferably of a stand mixer) stir together the flour and salt. Pour the beet puree into the flour mixture and stir together rubbing the beets into the flour using the back of a spoon. Pour the wet ingredients into the bowl of the dry ingredients and beet mixture and mix until just combined (can do this by hand, with the paddle hook, or with a wooden spoon. It should begin to form a shaggy dough. Using the dough hook (or kneading by hand) knead the dough for 7-10 minutes on medium speed. It’s done once the dough begins to get smooth. If the dough is excessively sticking to the hook, sprinkle in a bit more flour 1 tablespoon at a time. 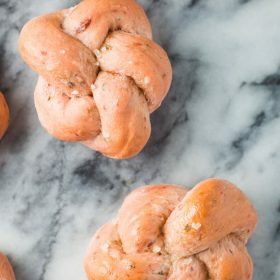 Using your hands, roll the dough into a ball, lightly grease it with olive oil, and leaving it in the same bowl, cover and let rise for one hour. Once done, on a well greased surface (I’ve found this easier than a floured surface) roll the dough out into a rectangle that’s 8 inches by about 15 inches long and about 1/4 inch thick. I use a gently greased rolling pin for the rolling. You want to cut strips that are 8 inches long and 1 inch thick. 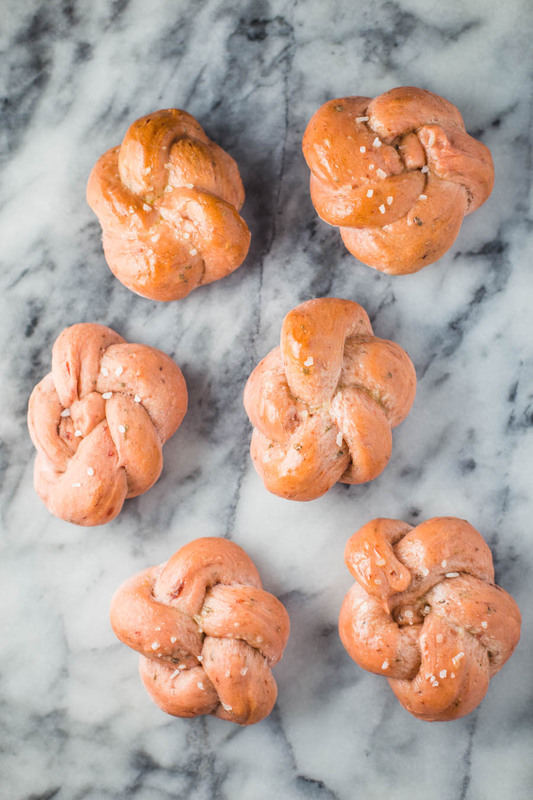 Taking 1 dough strip at a time, roll the dough gently and then make the knots according to THESE instructions. 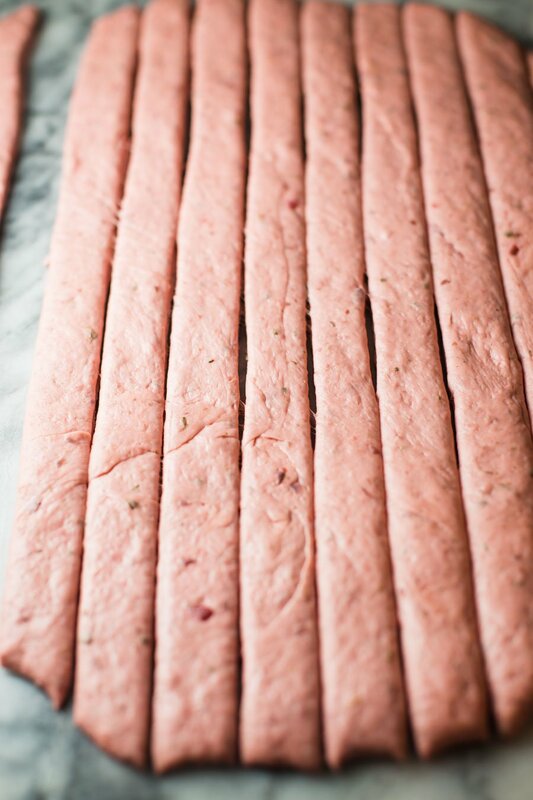 Place the rolls 2 inches apart on a baking sheet lined with parchment paper or a silicon mat. Place in a warm spot and let rise for 1 hour. Bake for 15-18 minutes or until the tops just begin to brown. Once done, let cool slightly. Optional: brush the tops of the rolls with softened vegan butter and sprinkle with a bit of sea salt (SO GOOD this way!! ).